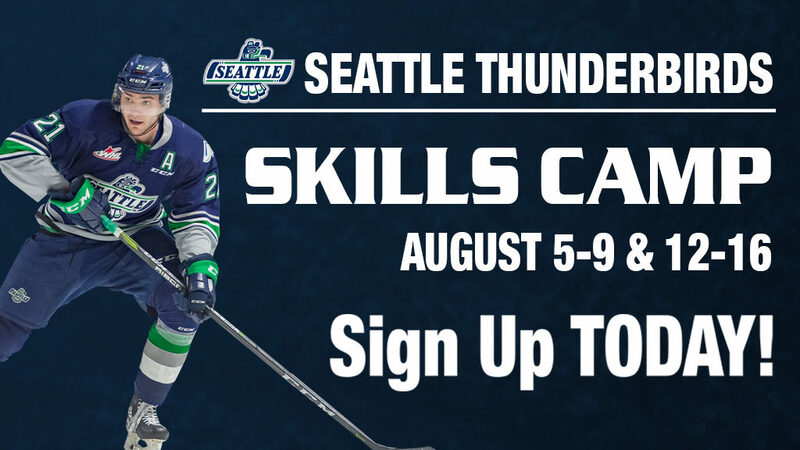 KENT, August 28, 2018 — Seattle Thunderbirds general manager Bil La Forge today announced goalie Thomas Milic has signed a WHL Standard Player Agreement with the team. Milic, from Coquitlam, British Columbia, was selected by the T-Birds in the third round, 51st overall, at the 2018 Bantam Draft in Red Deer, Alberta on May 3. 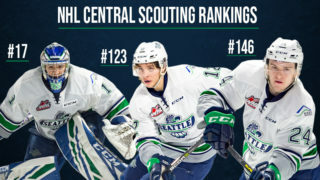 “I look forward to watching this draft class develop as T-Birds,” continued La Forge. 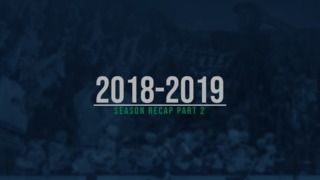 This past season Milic played in 22 games with the Burnaby Winter Club Bantam Prep team and had a 13-7 record with a 2.06 goals against average and a .925 save percentage. Thomas Milic in the T-Birds locker room. Milic is the fifth member of the 2018 Bantam Draft class to sign with the team. 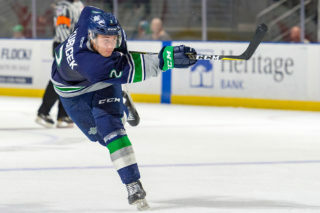 Conner Roulette, from Winnipeg, Manitoba, was the team’s second second-round selection and he signed on June 5. Mekai Sanders, from Gig Harbor, Washington was the team’s ninth-round selection and he signed on June 19. Kai Uchacz, from De Winton, Alberta, was the team’s first-round selection and he signed on August 20. Lucas Ciona, from Edmonton, Alberta, was the team’s first second-round selection and he signed on August 24. By signing a WHL Standard Player Agreement, Milic is guaranteed a WHL Scholarship for every year he plays in the WHL. A player is able to attend any career enhancing institution of his choice, including universities, colleges, technical institutes, trade schools, or any other institution which will help the player achieve his academic and career goals.